Roger Edward Reynolds, Senior Fellow Emeritus of the Pontifical Institute of Mediaeval Studies and Professor Emeritus of the University of Toronto, died in Mississauga, Ontario on 24 September 2014 and is survived by his wife Lioubov Alexeevna (Luba), children Michele, Persis, Nathan, and Caleb, grandchildren Lia, Megan, Jillian, and Samuel, brothers Todd and Mitchell, and sister Noel. He was born on 4 June 1936 in Denver, Colorado, and after graduating from high school in Denver, he studied medieval history and church history, art history, and literature at Harvard (A.B. 1958) and law at the University of Chicago Law School (J.D. 1961). He returned to Harvard University to study at the Divinity School and then in the History and Philosophy of Religion program of the Graduate School of Arts and Sciences, receiving his Ph.D. in Medieval Church History (1969) after study in Europe as a Sheldon Travelling Fellow and the completion of his graduate studies in 1968 with a doctoral thesis entitled “Sacred Orders in the Early Middle Ages: Shifts in the Theology of the Lower and Higher Ecclesiastical Orders from Late Patristic Antiquity through the Early Middle Ages as Reflected in the Ordinals of Christ and Related Literature.” As Assistant Professor (1968–71), Associate Professor (1971–77), and Professor of History (1977) at Carleton University in Ottawa he taught undergraduate and graduate courses in medieval civilization, institutions, and cultural and intellectual history, while publishing studies and editions of texts on the ecclesiastical orders and medieval liturgy and law in Mediaeval Studies, Revue Bénédictine, Speculum, Studia Gratiana, The Harvard Theological Review, and numerous other publications. In 1977 he came to Toronto as a Visiting Fellow in Liturgy at the Pontifical Institute of Mediaeval Studies, and after being elected Senior Fellow that same year, he remained in Toronto for the rest of his career, serving on the faculty of the Institute and the School of Graduate Studies of the University of Toronto as Professor in the Centre for Medieval Studies. When the Institute had been founded a half century earlier, the curriculum was to include introductory and advanced instruction in the liturgy of the Middle Ages, along with instruction in the areas of philosophy, theology, history, canon law, and literature, as well as training in palaeography, editing, and archaeology. Vincent L. Kennedy had been sent to Europe to acquire the specialized training and research skills in liturgy that he would bring to Toronto in order to provide this key component of the Institute’s academic curriculum, and as a Fellow of the Institute Fr. Kennedy taught courses in liturgy and worship from 1935 to 1961, but in the following fifteen years, a period that included important developments in the coordination of the academic programmes of the Institute and University of Toronto, the Institute’s course offerings did not include specialized instruction in the liturgy of the Middle Ages. A Visiting Fellowship held by Arnold Angenendt in 1975–76 initiated a revival of the Institute’s liturgy programme, and with the arrival of Roger Reynolds as Visiting Fellow and his appointment as Senior Fellow of the Institute and Professor of the University of Toronto in 1977, the liturgy programme flourished as an element of the core curriculum and a field of advanced study and research. 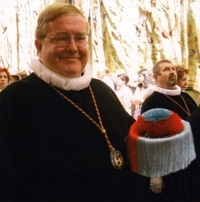 In addition to instituting introductory and advanced courses in the liturgy and liturgical books of the Latin Middle Ages and subsequently developing courses in liturgical commentaries and specific subjects in the history of Christian worship and ceremony, Professor Reynolds taught courses in another area of his expertise, medieval canon law, and combined the study of liturgy and law by offering instruction on the canonistic sources of liturgy. In his instruction and supervision of students in the M.A. and Ph.D. programmes of the University of Toronto and the Licentiate programme of the Institute, as in his own research, Professor Reynolds placed considerable emphasis on the examination and editing of manuscript sources deposited in libraries and archives throughout the world and available, in part through his own initiatives, in microfilm and other forms of reproduction at Toronto and at the Hill Museum and Manuscript Library in Collegeville, Minnesota. It was this emphasis on manuscript sources that led to a major research project he undertook with his colleague at the Institute and University of Toronto, Virginia Brown, whose interest in finding and studying codices and fragments from southern Italy and Dalmatia written in Beneventan script complemented his own interests, since he found that a notable majority of manuscripts in that script are liturgical. Along with Richard F. Gyug, one of Professor Reynolds’s former students who had worked with the liturgical manuscripts written in Beneventan script made available through their investigations, they formed Monumenta liturgica beneventana, a group research project of the Pontifical Institute of Mediaeval Studies supported since 1988 by grants from the Social Sciences and Humanities Research Council of Canada. The work produced as part of the project in a subseries of books published by the Institute’s Department of Publications, in the Institute’s journal Mediaeval Studies, and in other publications includes editions and studies prepared by the principal members of the project and by other contributors. During his years at the Institute, Roger Reynolds served as Academic Secretary and Graduate Coordinator of the Centre for Medieval Studies (1978–82), Secretary of the Pontifical Institute (1984–87), and in other administrative roles, contributing to the traditions, strengths, and outreach of an institution known internationally for its research and academic programmes and its specialized library, publications department, and other resources. After his term as Secretary of the Institute he retained his secretarial office, while a separate office was set up for his successors, and had it remodelled so that it could serve as the meeting place for “Mensa liturgica mediaevalis,” a group of faculty, students, and friends from the Toronto area who would meet occasionally for lunch and presentations on topics of interest related to liturgical art, church ceremony, and other subjects. 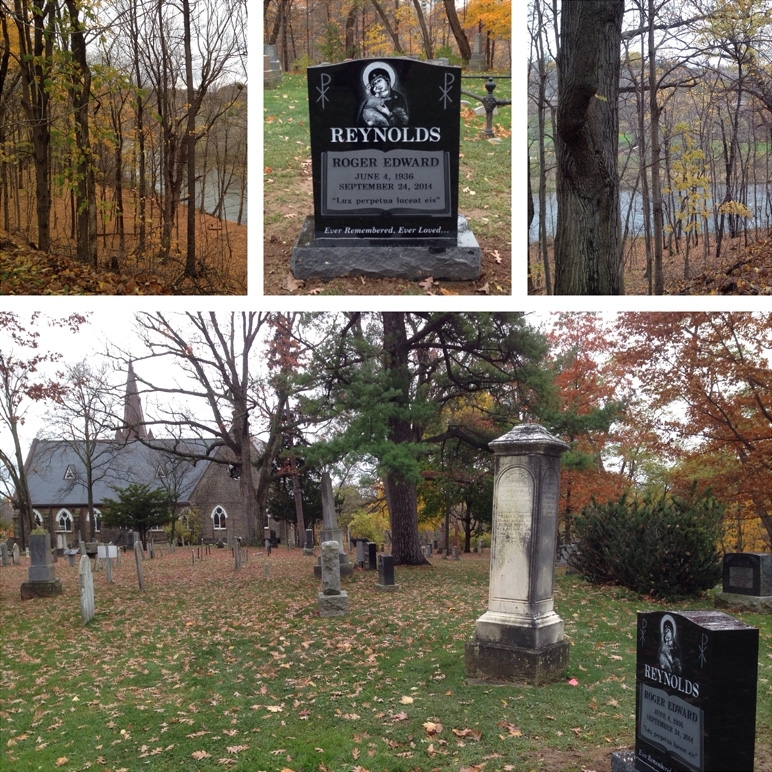 Professor Reynolds also served as a supervisor in the Institute’s postdoctoral L.M.S. programme, and in the dozen years following his retirement he continued to offer his services as advisor and to participate in the academic programme, while remaining at the Institute as an editor of Monumenta liturgica beneventana. The publication record that Professor Reynolds had started before his arrival in Toronto continued during his career at the Institute and after his retirement, and many of his publications are listed at the end of the collection of studies presented to him in 2004 by his former students and other colleagues, Ritual, Text, and Law, ed. Kathleen G. Cushing and Richard F. Gyug (Ashgate). He published over a hundred articles and book chapters on medieval liturgy, law, sacred orders, Beneventan and Visigothic manuscripts, and other subjects, nearly a hundred encyclopaedia entries including a number of extensive articles in the Dictionary of the Middle Ages, and dozens of reviews, exhibits, and memorial notices in addition to his book-length publications, The Ordinals of Christ from Their Origins to the Twelfth Century, Beiträge zur Geschichte und Quellenkunde des Mittelalters 7 (Berlin and New York, 1978; rpt. 2013); The Collectio canonum Casinensis duodecimi saeculi (Codex terscriptus): A Derivative of the South-Italian Collection in Five Books, Studies and Texts 137, Monumenta Liturgica Beneventana 3 (Toronto, 2001); and (with Douglas Adamson) Collectio Toletana: A Canon Law Derivative of the South-Italian Collection in Five Books, Studies and Texts 159, Monumenta Liturgica Beneventana 5 (Toronto, 2008). Many of his articles have been reprinted and supplemented in his four Variorum books, Law and Liturgy in the Latin Church, 5th–12th Centuries (1994), Clerics in the Early Middle Ages: Hierarchy and Image (1999), Clerical Orders in the Early Middle Ages: Duties and Ordination (1999), and Studies on Medieval Liturgical and Legal Manuscripts from Spain and Southern Italy (2009); and among the publications he has edited in the Monumenta liturgica beneventana subseries, he has prepared the preface and comprehensive indexes to Virginia Brown, Beneventan Discoveries: Collected Manuscript Catalogues, 1978–2008, Studies and Texts 179, Monumenta Liturgica Beneventana 6 (Toronto, 2012). In addition to his publications, Professor Reynolds has presented over 200 academic papers on liturgy, law, clergy, and Beneventan manuscripts, and after his retirement he has returned each spring to the International Congress of Medieval Studies in Kalamazoo, where he has organized academic sessions and presented papers while attending the book display with his wife Luba, exhibiting amber of the Tarasova Collection. With the many honors he has received for his academic work, including his election in 1987 as Corresponding Member of the Zentraldirektion of the Monumenta Germaniae Historica and his election to various other academic societies, and through his service on the boards of numerous academic publications and his efforts bringing his scholarly interests and the work of his colleagues and students to the attention of the wider community, he has made a lasting contribution to scholarship and will be remembered with gratitude by his friends, students, and colleagues throughout the world. To view the online memorial for Roger E. Reynolds at Turner & Porter, click here. The memorial will be available for another year. To view the headstone, click here. The programme for the memorial service in honour of Roger Reynolds held on Monday, 13 April 2015 at St Basil's is available, along with the tributes presented by his former students, Charles Hilken, F.S.C., Professor of History, Saint Mary’s College of California, Richard Gyug, Professor of History, Fordham University, and Jonathan Black, Editor of Mediaeval Studies, PIMS.